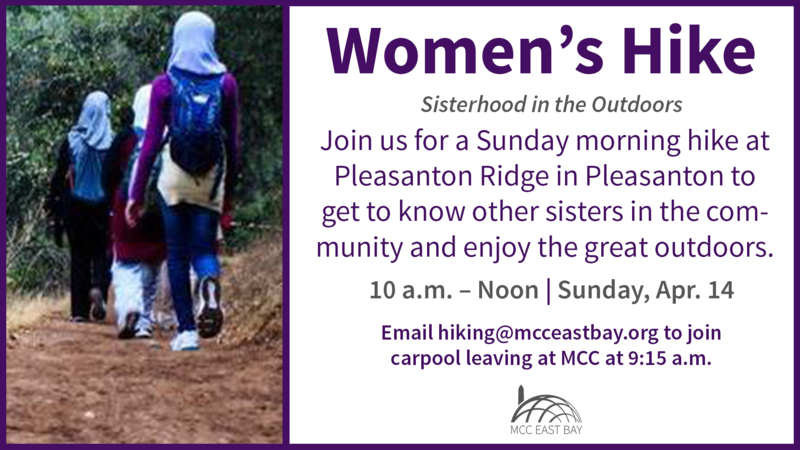 Join us Sunday, March 17 at Pleasanton Ridge Regional Park in Pleasanton to get to know other sisters in the community and enjoy the great outdoors! We will meet at the Ridge at 10 a.m. If you have trouble finding the group, call or text Sr. Aparna at 408-480-6584 or Iman Hamze at 925-640-6074. This beautiful 5,271-acre parkland is on the oak-covered ridge overlooking Pleasanton and the Livermore Valley from the west. It is planned as the core of a Ridgelands Regional Park to be acquired over a period of many years. Parkland development has been intentionally limited to preserve the pastoral atmosphere. The park occupies Pleasanton Ridge and beyond. To the northwest it spills down off Pleasanton Ridge into upper Kilkare Canyon, where it continues up onto Sunol Ridge, finally terminating at its westernmost corner in Stoneybrook Canyon. Inside the park, elevations exceed 1,600 feet.